Howard Hilliard is a fifth generation Californian where he studied at the University of Southern California and received his Bachelor and Master of Music. At the invitation of principal conductor Zubin Mehta, he was invited to play principal horn in L’Orchestra del Maggio Musicale Fiorentino (Florence Italy’s main orchestra) for over six years. As part of that orchestra he recorded on many of the major classical labels as well as the original “Three Tenors” concert from Rome, which was the biggest selling classical CD of all time. After returning to the United States, Dr. Hilliard received his doctoral degree from the University of North Texas College of Music. His most recent concerto engagements in Texas include performances with the Garland, Las Colinas, San Angelo and Symphony Arlington orchestras. 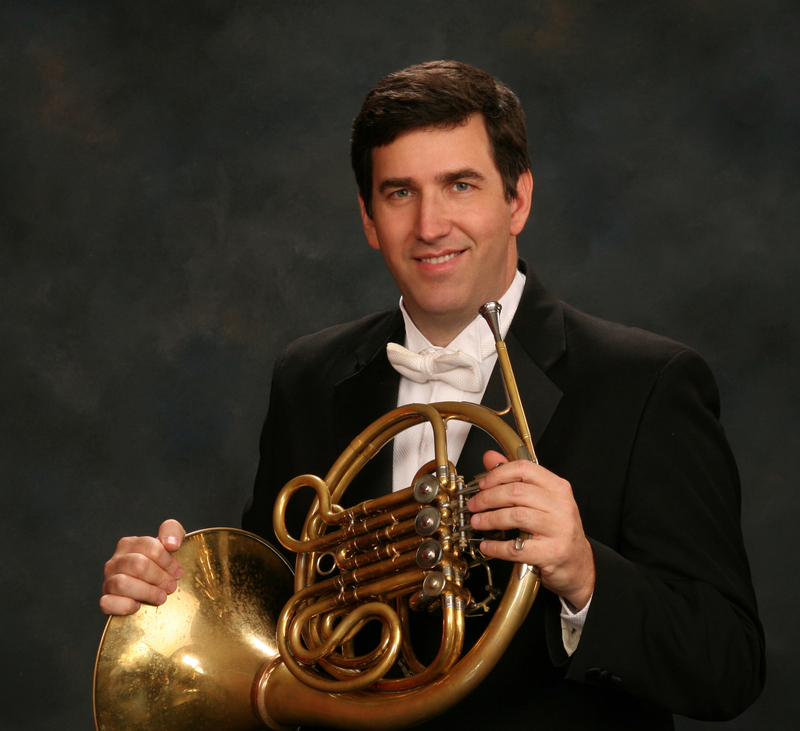 Dr. Hilliard has performed as principal horn in numerous symphonies through out the United States, Europe and Latin America. Orchestras and wind ensembles he has performed as principal horn with include: “I Solisti Fiorentini”, “Solisti dell’Ensemble Cameristico Pistoiese”, “Orquesta Sinfonica de la UANL” in Monterrey, Mexico, Boston Civic Symphony, North Shore Symphony, Dallas Chamber Orchestra, Plano Symphony, East Texas Symphony, Waco Symphony Orchestra, Irving Symphony, Dallas and Texas Wind Symphonies, Corpus Christi Symphony, Riverside County Philharmonic, West Side Symphony, Burbank Chamber Orchestra, Glendale Chamber Orchestra, American Youth Symphony, and Desert Symphony. He is currently the principal horn of the Garland, Las Colinas, San Angelo, Dallas Pops and Symphony Arlington orchestras. Some of the conductors Dr. Hilliard has played principal horn for include: Riccardo Muti, Carlo Maria Guilini, Eduardo Mata, Andrew Davis, Leonard Slatkin, Georges Prètre, Esa-Pekka Salonen, Christian Thielemann,Myung-Wha Chung, Semyon Bychkov, James Conlon, Frederick Fennell as well as Zubin Mehta. He has been a voting member of the National Academy of Recording Arts and Science, which selects the “Grammy” awards each year. 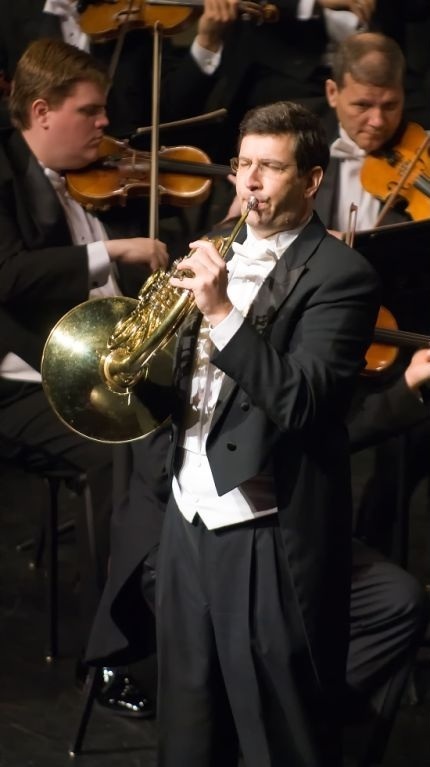 In addition to being an active freelancer in the DFW Metroplex, he teaches French horn and trumpet, repairs brass instruments, does custom horn work and publishes both pedagogical articles and sheet music. His publication “Lip Slurs for Horn” is the best-selling book of lip slurs for horn in the world. Sold through Hal Leonard in six continents and used by members of major symphony orchestras throughout the world as well as beginning horn classes throughout Texas. It was featured in clinics at the 2012 International Horn Symposium. His most recent publications have expanded into the entire brass category with the series “Intermediate Studies for Developing Artists” on Horn, Trumpet, Trombone and Euphonium and Tuba. This series was presented at the 2013 Texas Bandmasters Association convention in the clinic “Teaching Artistry in an Age of Technique.” Dr. Hilliard’s articles have been published in his field’s most prestigious journals of record including; The Horn Call,The International Trumpet Guild Journal, The Instrumentalist and TMEA Bandmasters Review. Please enjoy the articles I’ve written over the years. More Importantly BUY MY BOOKS! 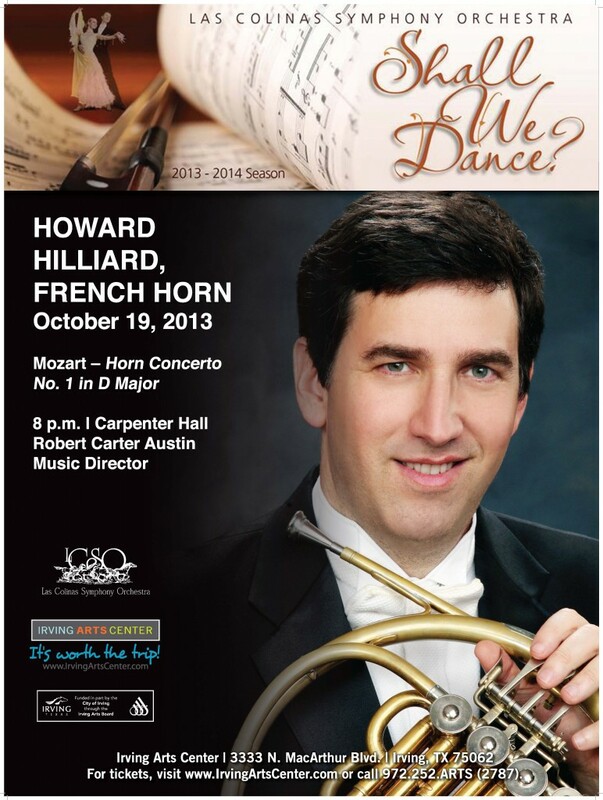 Below is a poster from a recent set of concerto engagements.